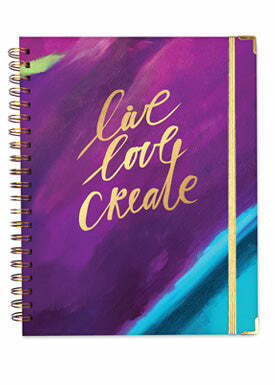 2019 Goal Setting Monthly Planner- Inspired Year Planner for Creatives – One Love Paper Co. 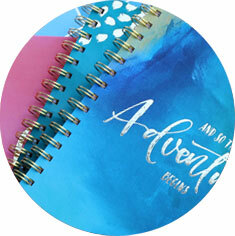 This unique goal-setting planner and calendar all-in-one is ready to dazzle your senses. 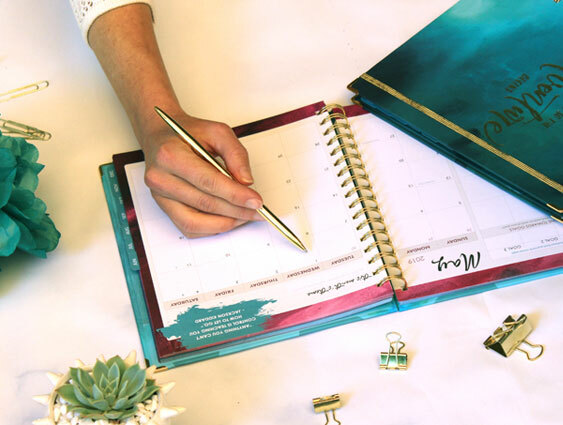 See why creatives and women everywhere are finding balance, dreaming big and getting their busy lives under control with the Inspired Year Planner. 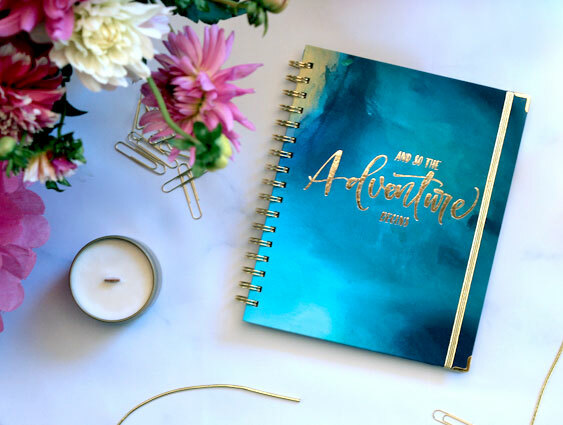 Small 7"x9" & Large 9"x11"
Roomy pages give you space to plan your bigger dreams alongside your day-to-day. 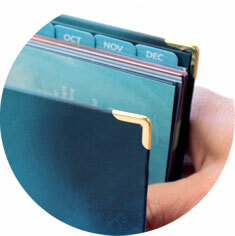 There's room to organize every aspect of your life: appointments, kids' activities, self-care, and creative projects. 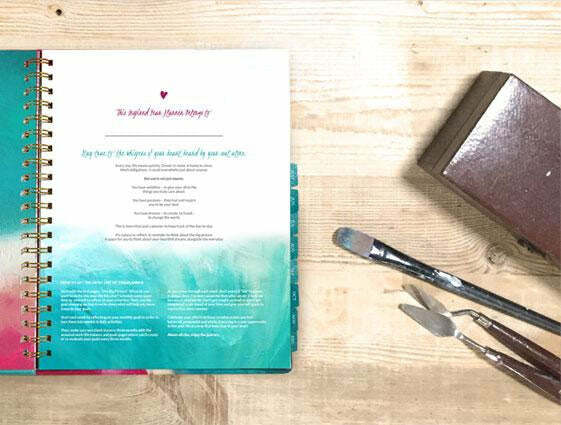 "The Inspired Planner is unique because it organizes your life – but it's built for YOU. It's built for a woman who sets goals, who dreams and wants to make her own self-care a priority." 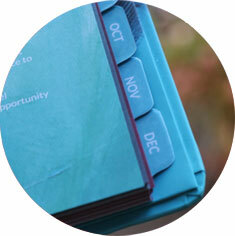 Seasonal goal-setting breaks big goals down to actionable milestones. Heart-centered guidance helps you stay focused on what really matters. 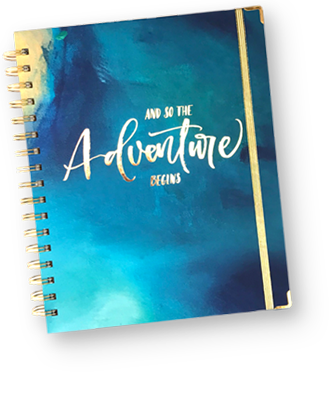 "One thing I truly love about my inspired yearly planner is that it is a calendar and goal-setting all in one. It breaks down goals for yourself for the big picture. It helps you work through how you are feeling now, how you want to feel, and how to get there." 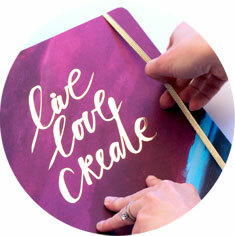 Your life story is in constant creation. 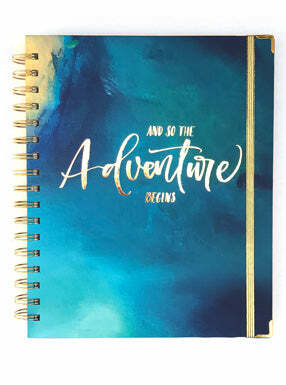 Your planner becomes a masterpiece of your hopes, dreams and plans. "I was thoroughly impressed by the quotes. Most of them were new to me and truly spoke to me, to make me think about pursuing my dreams in accomplishing my tasks." 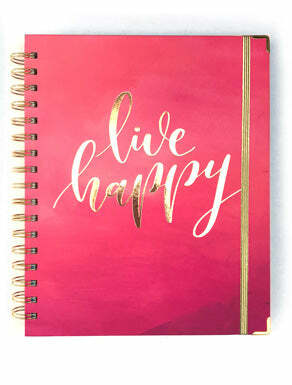 A planner that doesn't add more to your plate. 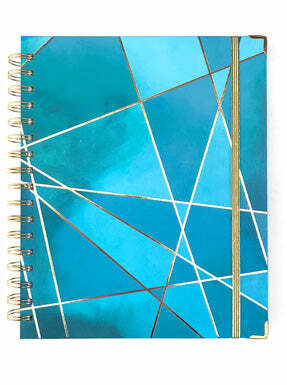 Finally -- a planner that is both efficient and beautiful. 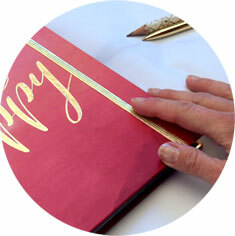 No need for extra stickers, markers or washi-tape. 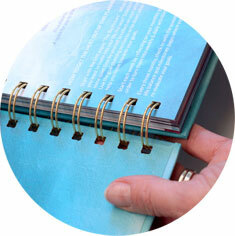 The gorgeous interior pages provide inspiration and organization without need for extra customization. A daily reminder to focus on specific goals helps you feel capable and accomplished at the end of each day. 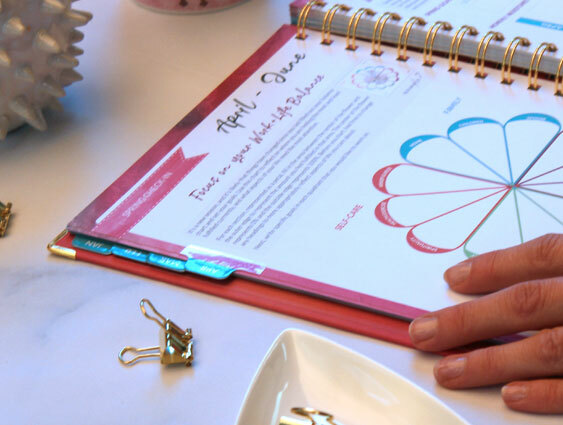 "I appreciate the Daily Focus theme throughout the planner which states, 'Each morning, determine no more than three things to focus on for the day.' It is easy for me to sometimes get caught up into thinking about so many things and as a result, not getting something done or getting things half way done." A well-lived life includes time for work and play, love and laughter. 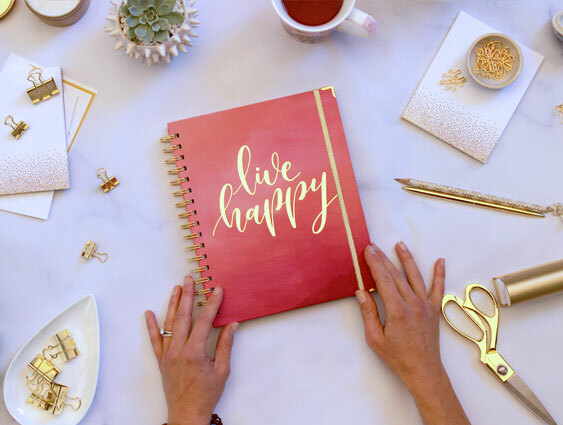 Say goodbye to guilt-inducing goals and say hello to meaningful ones that will enrich every aspect of your life. 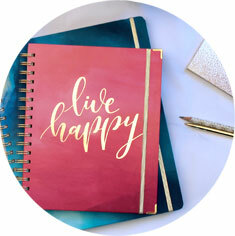 Have fun with your goals -- make date night, a spa day, or shopping for new art supplies part of your top priorities -- taking care of yourself means you can give the best version of you to your loved ones too. 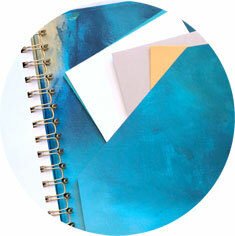 "I love that the planner has a section each quarter to assess your work-life balance. It has given me real perspective on my priorities and areas for improvement. I'm looking forward to seeing how my balance of work and life changes in 3 months' time."